(ATR with MACD) written by Freddy FX. Time Frame H1 Expires Time: 120 min or 60 min . Set your ATR Ratio (21, 7, ) level >0,8. If these conditions are agreed, buy a binary options call. 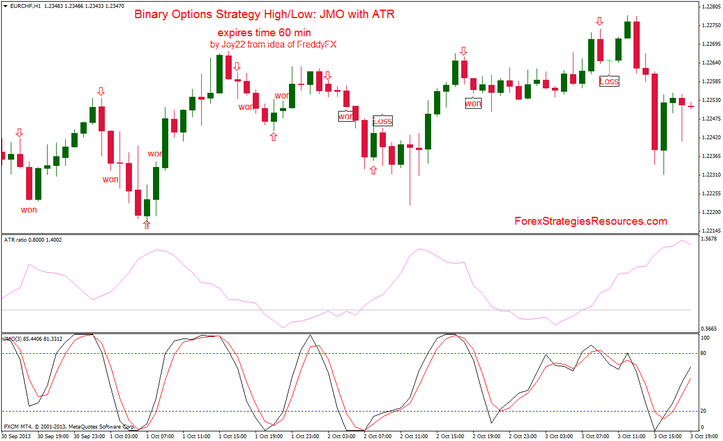 When JMO indicator cross downward in overbougth area. And ATR Ratio Indicator >0.8. If these conditions are agreed, buy a binary options put. 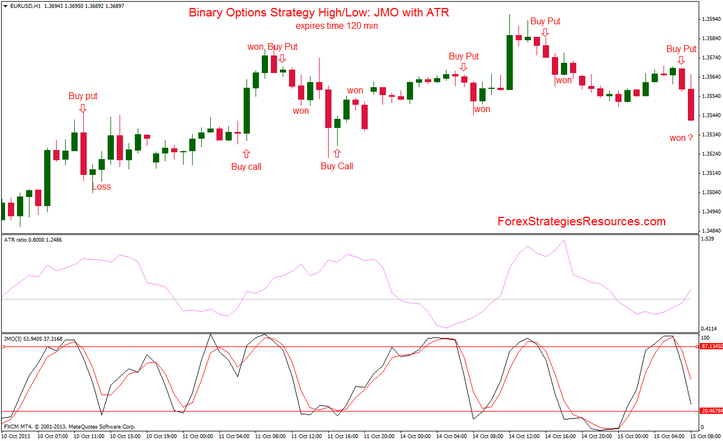 In the pictures below Binary Options Strategy High/Low: JMO with ATR in action.